Pew Research Center’s (the “Center”) American Trends Panel (“ATP”) members (“Panel Members”) have been invited to take part in a major national research effort. Panel Members are invited to complete surveys to provide feedback and opinions on a range of political, lifestyle, and other questions and contribute other types of requested data. Ipsos Public Affairs, LLC (“Ipsos”) manages the ATP on behalf of the Center. Active Panel Members receive certain benefits from Ipsos in exchange for participating in ATP surveys and research projects. The Center and Ipsos respect the privacy of every Panel Member. This Privacy Statement outlines the information Ipsos may collect on behalf of the Center and how the Center and Ipsos may use that information on their websites or otherwise. This Privacy Statement will also tell you how you may verify the accuracy of your Personal Information (defined below) submitted to Ipsos and how you may request that Ipsos and/or the Center delete or update such Personal Information. This Privacy Statement has been derived from industry guidelines and standards, and local, national, and international laws and requirements. All privacy practices and methods described herein apply only insofar as permitted by the applicable standards, laws and requirements. Ipsos may, in the course of interacting with Panel Members on behalf of the Center, gather information from Panel Members through online surveys (“Survey Responses”) that you receive periodically. These surveys created by the Center will ask questions about your interests, needs, and attitudes, and both Ipsos and the Center will receive your Survey Responses. As is true of most websites, our websites gather certain information automatically and store it in log files. This information may include internet protocol (IP) addresses, browser type, internet service provider (ISP), referring/exit pages, operating system, date/time stamp, and clickstream data. The Center or Ipsos may use this information, which does not include Personal Information (i.e., does not identify individual users), to analyze trends; administer the sites; track users’ movements around the sites; and gather demographic information about Panel Members as a whole. Such automatically-collected data will not be linked to your Personal Information. In connection with the ATP, technologies such as cookies, beacons, tags, scripts and similar technologies may be used by Ipsos, the Center and third parties for research purposes. A cookie is a small text file that is stored on a user’s computer for record-keeping purposes. Ipsos may use persistent cookies on the ATP Panel Member site (hosted by Ipsos). Persistent cookies are used when you register as a Panel Member or log into the ATP Panel Member site, and are used to store information such as your email address and password. We would use these cookies to recognize Panel Members when you participate in surveys and to record information about the survey, such as when the survey is completed and how much of the survey has been completed. A persistent cookie remains on your hard drive for an extended period of time. You can remove persistent cookies by following directions provided in your Internet browser’s “help” file. If you reject cookies, you may still use our site, but your ability to use some areas of our site, such as surveys, will be limited. We do not link the information we store in cookies to any Personal Information. We do not have access to, or control over, cookies that may exist on your hard drive that were placed by third parties. We cannot control how they may be used by third parties or otherwise have any control over the type of content that may be included with any tags incorporated in those cookies. Your browser offers a Do-Not-Track (DNT) privacy setting. Without your express consent, we would not track you across websites that you visit. Enabling or disabling the DNT setting in your browser has no impact on our services or practices. For more information about DNT privacy settings, visit www.allaboutdnt.com. Personal Information may be used to communicate with Panel Members and to assist with questions about ATP procedures. It may also be used for panel recruitment in that Personal Information concerning location or address is also used to ensure that the ATP accurately represents the country’s population as a whole. Panel Members are asked for Demographic Information in order to pre-qualify for surveys that target specific groups. We also use this information to ensure that the ATP accurately represents the country’s population as a whole, and for research purposes. The Center may use your Personal Information and Demographic Information in the conduct of our research. Ipsos will use your Personal Information and Demographic Information solely in its administration of the ATP on behalf of the Center for research purposes. With your express permission, Personal Information and/or Demographic Information may be combined with information collected about you from third parties, with information that is collected about you from public records, or with information acquired from third parties that have a legal right to share such information. If you provide us with your mobile phone number and consent to our contacting your mobile device by voice or text message using an automatic telephone dialing system or pre-recorded voice message, the Center, Ipsos and/or our agents may contact you periodically for purposes related to your participation in the ATP. For example, we may contact you in this manner to notify or remind Panel Members when a survey is available for completion. You may revoke this consent by contacting Ipsos per the ACCESS TO YOUR INFORMATION AND COMPLAINTS section below. If you no longer want to receive text messages related to ATP, please reply to the text messages by writing STOP. Please refer to “Accessing, Correcting, Updating Your Personal Information or Demographic Information and Preventing Use of Your Personal Information” below for information regarding your ability to control and manage your Personal Information and Demographic Information. The Center will use your Survey Responses, collected by Ipsos on our behalf, solely in the conduct of our research. As is the case with Personal Information and Demographic Information, Survey Responses may be combined with information collected about you by third parties with your express permission, with information that is collected about you from public records, or with information that the Center may acquire from third parties that have a legal right to provide such information. Except as detailed in this Privacy Statement, Ipsos and the Center will not share Panel Members’ Personal Information with any third parties without your express permission. In addition, occasionally the Center and Ipsos may share Personal Information with third parties with whom we have engaged to provide specific services to and for the Center and/or Ipsos for the purposes of panel recruitment, panel communications and general research, including voter file matches and locality coding using third party vendors. Prior to receipt of any Personal Information, third parties must contractually agree not to share or resell Personal Information or use it except for the purpose of providing these services to Ipsos and/or the Center. In addition, Ipsos and the Center may disclose your Personal Information as required by law and when we believe that disclosure is necessary to protect our rights and/or comply with a judicial proceeding, court order, or legal process served on Ipsos, the Center or our directors, employees or agents. Furthermore, Ipsos and the Center may disclose your Personal Information to protect and defend the rights, interests, health, safety and security of Ipsos, the Center, our affiliates, users or the public. Ipsos and the Center may share Demographic Information and Survey Responses with third parties or publicly release this information in a de-identified, anonymous form. We may also provide this information on an aggregate basis with respect to a group of our Panel Members to describe group demographics or interest profiles. As discussed above under the “Cookies” section, certain web pages that you view may be tracked by third parties using advanced cookies. Other than as set forth in this Privacy Statement, third parties will never receive Personal Information of Panel Members, nor will they be able to identify Panel Members, without that Panel Member’s express permission. The Center may share Personal Information, Demographic Information, or Survey Responses of Panel Members in connection with a substantial corporate transfer, such as the sale of a website, a merger, consolidation, asset sale, or in the unlikely event of bankruptcy. In that eventuality, you would be notified via email. Your Personal Information, Demographic Information, and Survey Responses will generally be stored in Ipsos’s databases. As a global company, Ipsos may leverage its resources, both within and outside the U.S., to support the panel. For easier processing of e-mail communications, panel recruitment or panel communications, your Personal Information or Demographic Information may be sent to or accessed by Ipsos’s service providers and contractors who are obligated to keep such information confidential. Ipsos data protection standards and those of its service providers and contractors are the same, regardless of where your information is stored. Ipsos and the Center are committed to keeping the data you provide us secure and will take reasonable precautions to protect your Personal Information from loss, misuse or alteration. Third parties who have access to your Personal Information in connection with providing services for Ipsos or the Center are contractually required to keep the information confidential and may not use this information for any other purpose than to carry out the services they are performing for the ATP. Ipsos and the Center safeguard Personal Information, Demographic Information, and Survey Responses from unauthorized access. Most Survey Responses are maintained in databases that are separate from those containing Personal Information and Demographic Information. Only authorized employees or agents carrying out permitted business functions are allowed to access these databases. In addition, each employee of Ipsos is required to sign a confidentiality agreement requiring him or her to keep confidential all Personal Information of Panel Members. Employees who violate the confidentiality agreement are subject to disciplinary actions, including termination when appropriate. 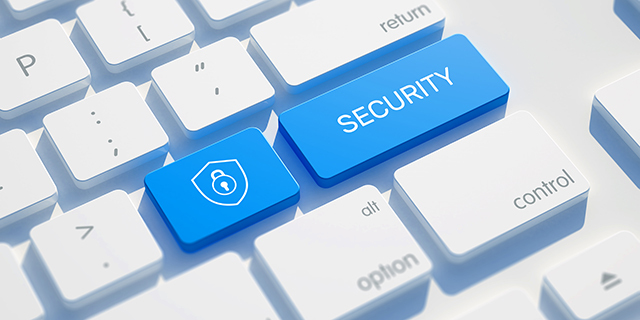 While we strive to use industry-standard security technology, procedures and other measures to help protect your Personal Information, we cannot guarantee the security of the information you transmit. We may update this Privacy Statement from time to time to reflect changes to our information practices. When we update the Privacy Statement, we will revise the “Effective Date” above and post the new Privacy Statement. We encourage you to periodically review this page for the latest information on our privacy practices. A) Accessing, Correcting, Updating Your Personal Information or Demographic Information and Preventing Use of Your Personal Information. Access, correct and/or update your Personal Information or Demographic Information, by emailing your request to: trendspanel@gfksay.com, or by sending us a letter to the address listed below. Ipsos will use reasonable efforts to supply you with the information you requested to access and to correct any factual inaccuracies in this information within a reasonable timeframe. Prevent further use of your Personal Information, by emailing your request to: trendspanel@gfksay.com. Alternatively, you may call us at 1-800-405-1201 or send us a letter to the address listed below. In each case, we will then use reasonable efforts to prevent further use of your Personal Information in our files. We will retain your Personal Information for as long as you are an active ATP Panel Member or as needed to provide you services. If you wish to request that we no longer use your Personal Information to provide you services, contact us at trendspanel@gfksay.com. We will retain and use your Personal Information as necessary to comply with our legal obligations, resolve disputes, and enforce our agreements. We value the opinions and feedback of Panel Members to help improve the ATP. If your participation in the ATP comes to an end, we may send you a brief, voluntary exit survey regarding your experience.